The 2014 Chevrolet Impala is vastly redesigned compared to the 2013 model year Impala and the redesign is more than just new sheet metal and a nicer interior. The 2014 Impala is a much nicer vehicle from head to toe with a look and feel that is more like something that you would expect from a luxury sedan than a high volume model like the Impala. The 2014 model is one of those cars that draws the expression “That’s the new Chevy Impala? Wow.” On the other hand, while the 2013 Chevrolet Impala was a strong seller, it didn’t offer that same level of wow factor but what it did offer – lots of passenger space, lots of cargo space, reasonable amenities and a low price for the segment – made it a popular choice with both rental agencies and government fleets. To make sure that these huge fleets keep turning to General Motors for their new large sedans, GM is expected to keep offering the current Impala to fleet buyers until the 2016 model year. 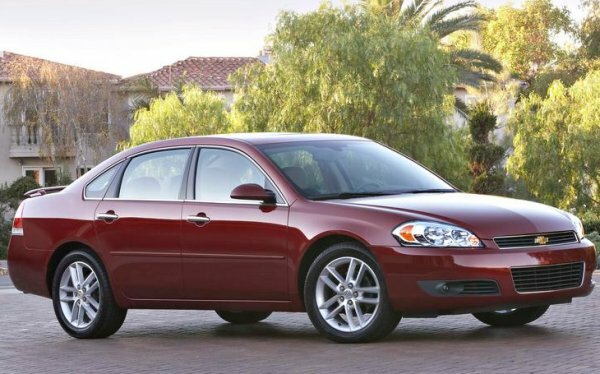 The biggest advantage for the government and rental fleets looking to continue buying what we know as the 2013 Chevrolet Impala is the purchasing price. Since these fleet models are generally configured in a certain way - with set features as opposed to options that can slow down the production process – GM can pump them out more quickly and at a lower overall cost so they come with a lower price to the fleet buyer. On the other hand, the 2014 Chevrolet Impala features far more expensive standard features and a long option list that drives the price up quite a bit so for budget minded fleet managers who arent interested in the glitz and glamour of the new 2014 Impala, the 2013 Impala sedan could be offered for two more model years. While this might seem like an odd move for General Motors to build two generations of the Chevrolet Impala at the same time, it isn’t the first time that this has happened – nor will it be the last. GM has previously offered an older generation of the Malibu for the fleet market and if you remember the Saturn Vue, you might find the current Chevrolet Captiva Sport familiar as that fleet-only compact SUV is nothing more than an ongoing version of the discontinued Saturn SUV. Furthermore, there have been rumors that Ford Motor Company could continue offering the current generation of the F Series pickup once the next generation is introduced but unlike GM who builds the older models strictly for the fleet market, rumors suggest that Ford may actually market both versions of the F Series side by side to the general public for at least a short time. This is a good move for General Motors (and every other automaker who participates in this type of “new old model” production as the consumer market that always demands newer and better is satisfied while fleet buyers who are happy with what they have now are also able to keep spending money with GM rather than looking for less expensive options than the 2014 Impala. Nissan is doing this for several models, but keeping them on the consumer market as well, usually under deprecated names. Ol‡ , voc est‡ usando o wordpress como plataforma do seu blog? Eu sou novo no mundo do blog, mas estou tentado a criar o meu pr—prio. Voc aprendeu alguma codifica‹o html para fazer seu pr—prio blog? Qualquer ajuda seria realmente útil!